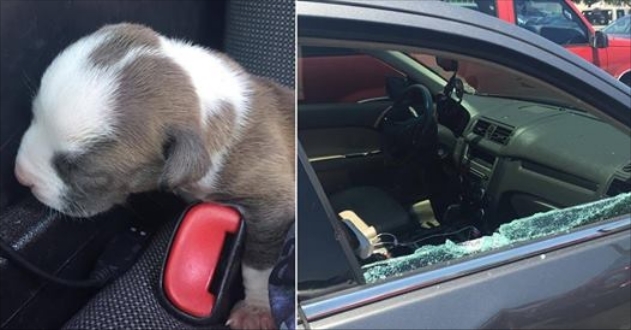 A new-born puppy’s life was saved thanks to the swift actions of police officers who broke a window of the car he was trapped in. 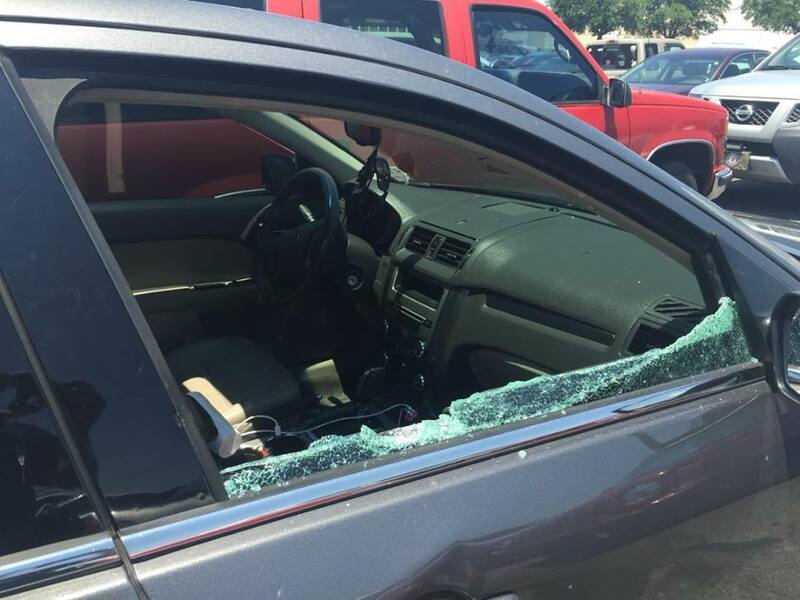 With temperatures in excess of 30C, officers from Pensacola Police Department in Florida had no choice but to shatter the car’s front window. As you can tell from the pictures, the poor little brown and white puppy pictured was suffering from the heat. "Don’t. Just don’t. If you leave your dog in a hot car and that dog is suffering, we will do whatever we have to do to free him. Or her. Doesn’t matter, we like both kinds of dogs. We will drive your pooch to the caring folks at the Escambia County Animal Shelter and we will drop you off with the caring folks at the Escambia County Detention Facility. You will both receive attention, food, and shelter, albeit different kinds. So, don’t." Why are hot cars dangerous? Animals are only able to cool themselves off by panting, sweating and through their paw pads, which makes being locked inside a car especially dangerous.. Pets can suffer brain damage or die from heatstroke in a matter of minutes. Responses to "Police Break Into Hot Car To Save New Born Puppy "
1st - Thank you to the Police for saving this precious life. 2nd - I hope the owners get the max penalty and/or fine. 3rd - Leave your pets at home not alone in a car. 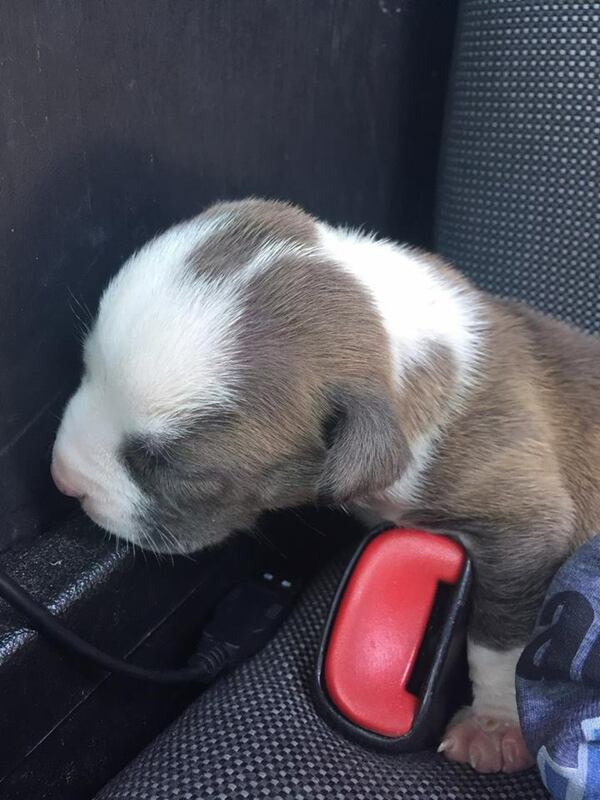 Why would a newborn puppy be in the car in the first place? That baby is way too young to even be away from its mom...let alone left in a car alone. People need to be able to pass a competency test before they are allowed pets...or human children.